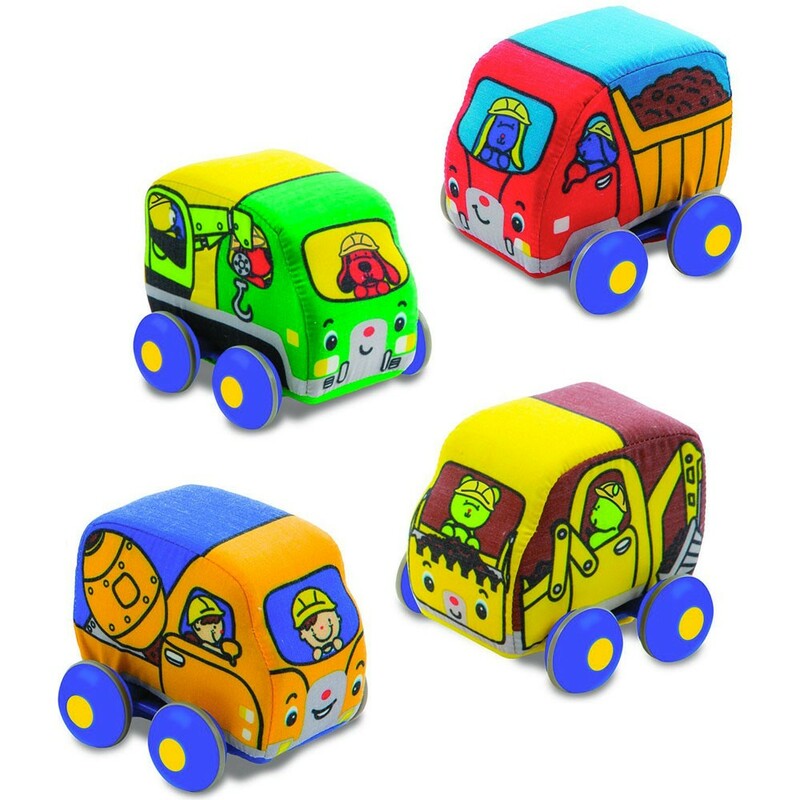 These 4 soft fabric construction trucks are bound to be popular at toddler playtime! 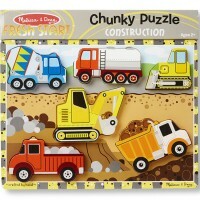 Pull them back to play and refine small motor skills! 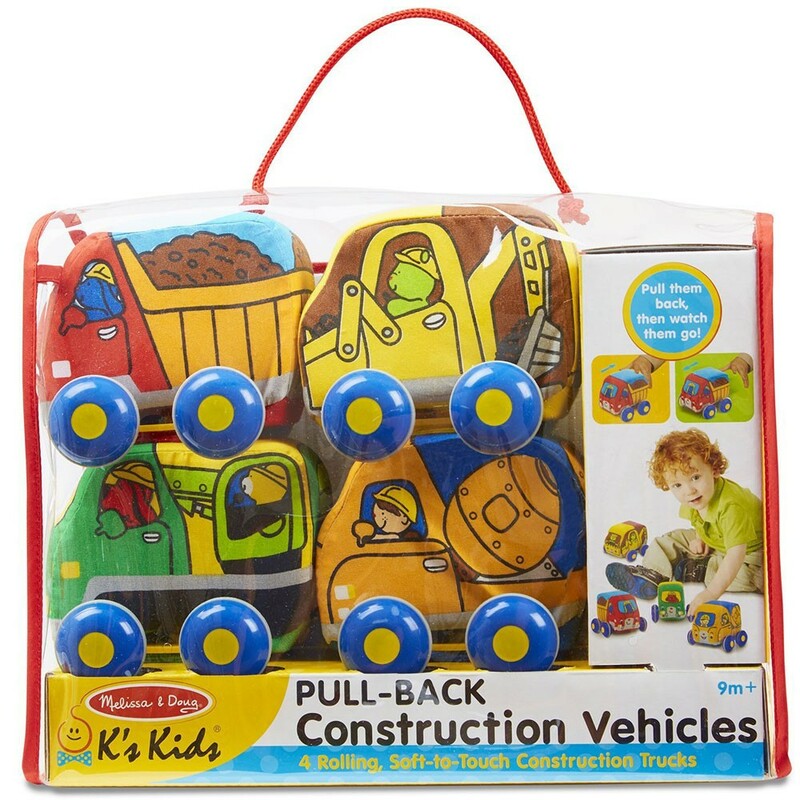 Pull Back Construction Vehicles 4 pc Play Set from Melissa & Doug's K's Kids baby toy series is made for the youngest truck fans. 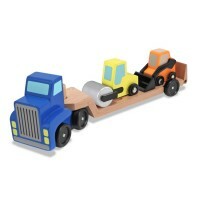 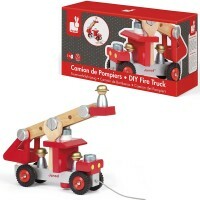 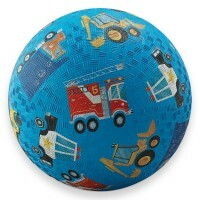 Pull back one of the soft construction trucks, then release to see it zoom off across the play room! This first vehicles set from Educational Toys Planet comes in a neat vinyl carrying bag with handle and brings 4 hard-working trucks for your baby: a cement mixer, a dump truck, a bulldozer, and a tow truck. 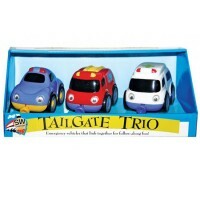 Each vehicle features bright colors, specially painted details, illustrated characters. 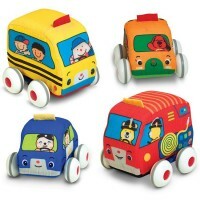 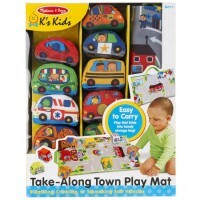 These soft fabric vehicles are bound to be popular at playtime, but with four exciting vehicles there are enough to share. 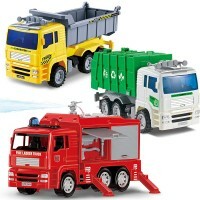 You can wipe-clean the insert, and surface-wash all the trucks. 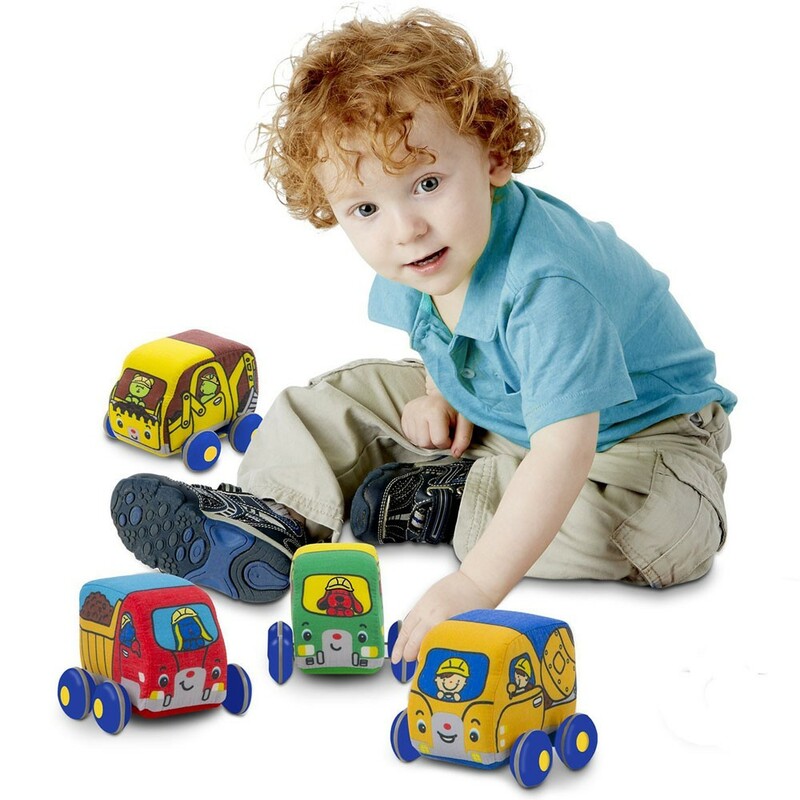 These are the perfect size for little hands, about 4 x 3 x 4 inches each, and the 4 vehicles are a great way to enhance your toddler's dexterity. 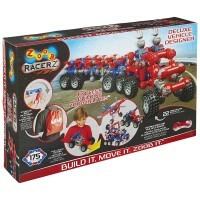 Pull, roll and go! 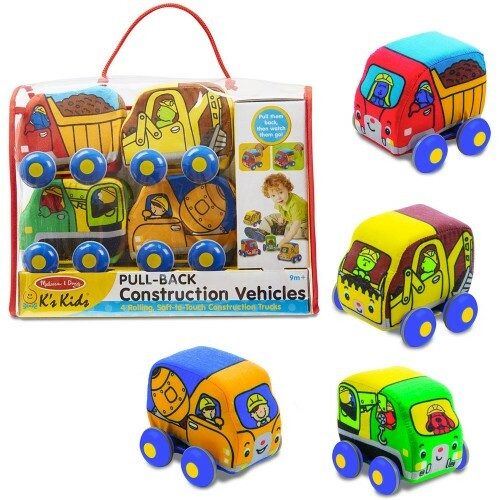 Dimensions of package 8.25" x 12" x 4.75"
Write your own review of Pull Back Construction Vehicles 4 pc Play Set.